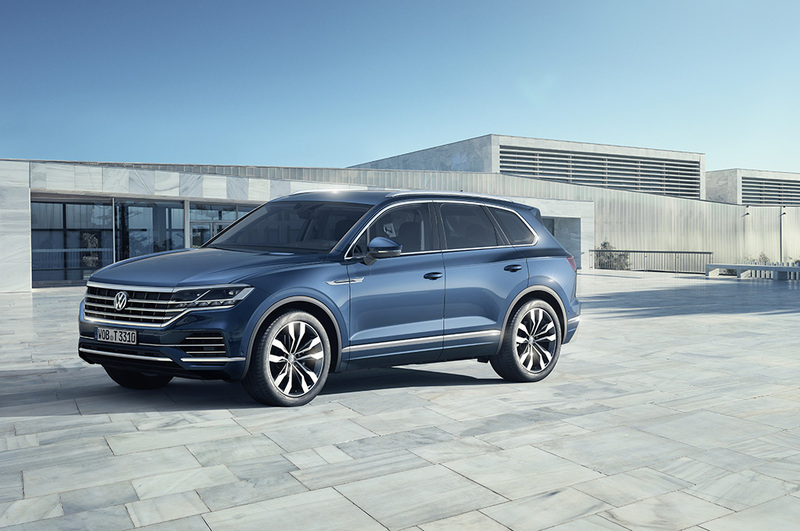 Volkswagen took the wraps off of its brand new Touareg in Beijing Friday, revealing a mid-size SUV the company plans to sell seemingly everywhere but here. If you haven't been paying attention, VW axed the Touareg here in the U.S. starting from the 2018 model year. Yeah, I had to look it up as well. Americans looking for a big Volkswagen now have the Tennessee-built and much more pronounceable Atlas. 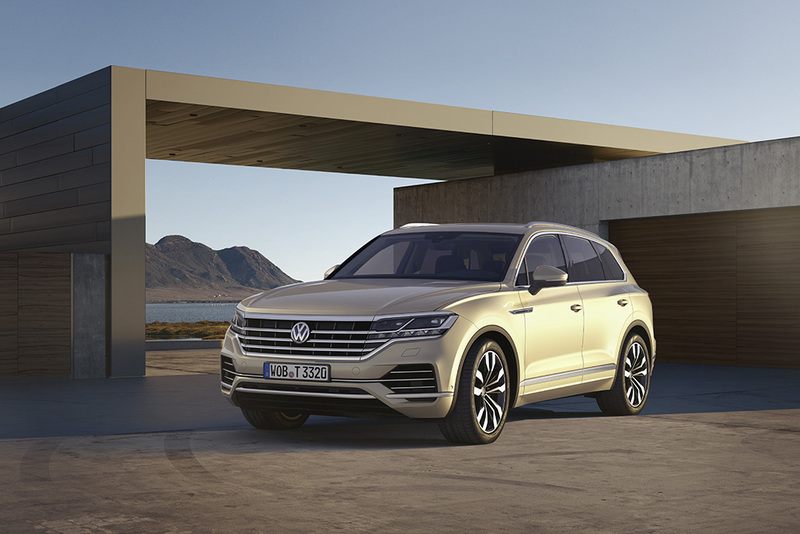 As for the new Touareg, the company is touting it as "the most technically advanced Volkswagen of its era," pointing to two positively gargantuan screens that make up the crossover's dashboard. Dubbed the "Innovision Cockpit," the Touareg's command center consists of a 12-inch digital instrument display seamlessly merged with a 15-inch touchscreen infotainment system. Because conventional buttons and knobs are just so last decade, no? While this isn't unlike the setup seen in recent Mercedes-Benz models, VW's interpretation looks a little less tacked-on and more naturally integrated with its surroundings. The Touareg also comes with the most assisted driving tech supposedly ever fitted to a Volkswagen, featuring a thermal Night Vision camera, Roadwork Lane Assist, and Front Cross-Traffic Assist. Active all-wheel steering also makes the big SUV handle more like a compact vehicle, according to VW. 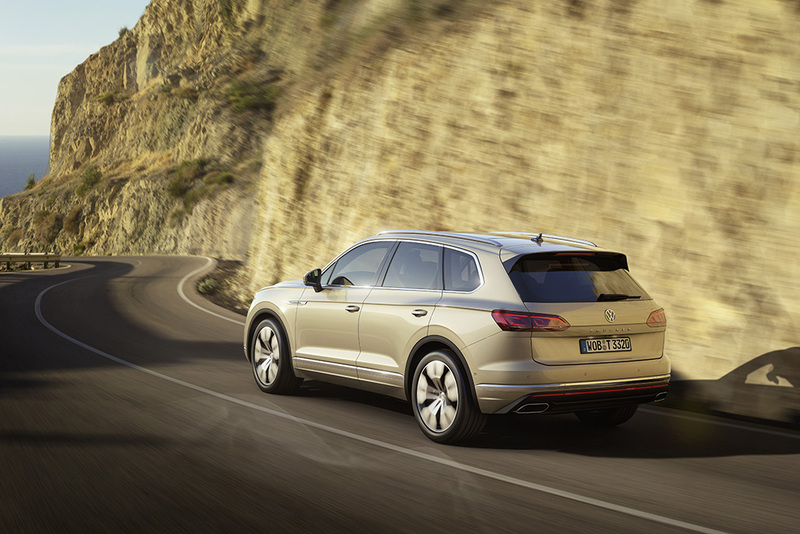 Compared to the outgoing model, the redesigned Touareg is longer, wider, and 233 pounds lighter thanks to the use of aluminum and "high-tech steels." Under the hood, the big Volkswagen will be powered by one of two V-6 diesel engines when it goes on sale in Europe. In other markets, a V-6 that runs on conventional gasoline and a V-8 turbo-diesel will be available in addition to a plug-in hybrid version destined for China. With all that diesel, we can't imagine the Environmental Protection Agency being too happy if Volkswagen ever did decide to bring the Touareg back to America. Because, y'know, reasons.